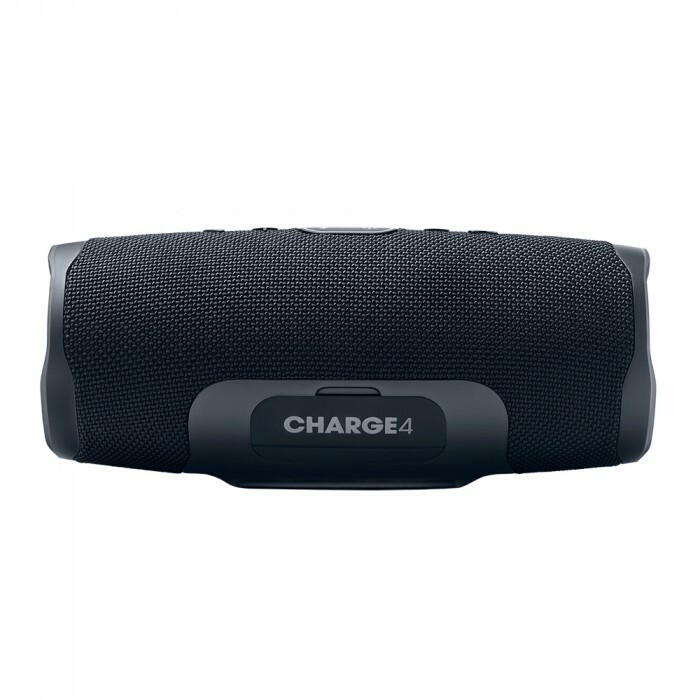 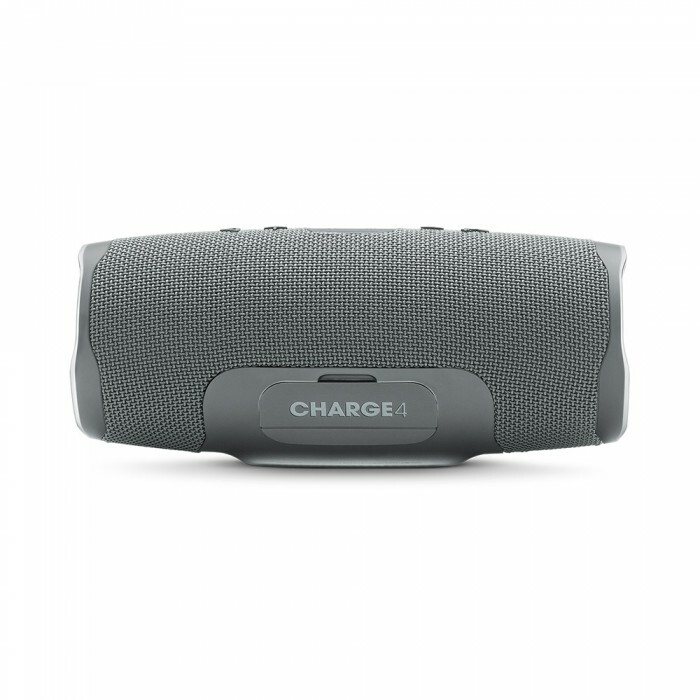 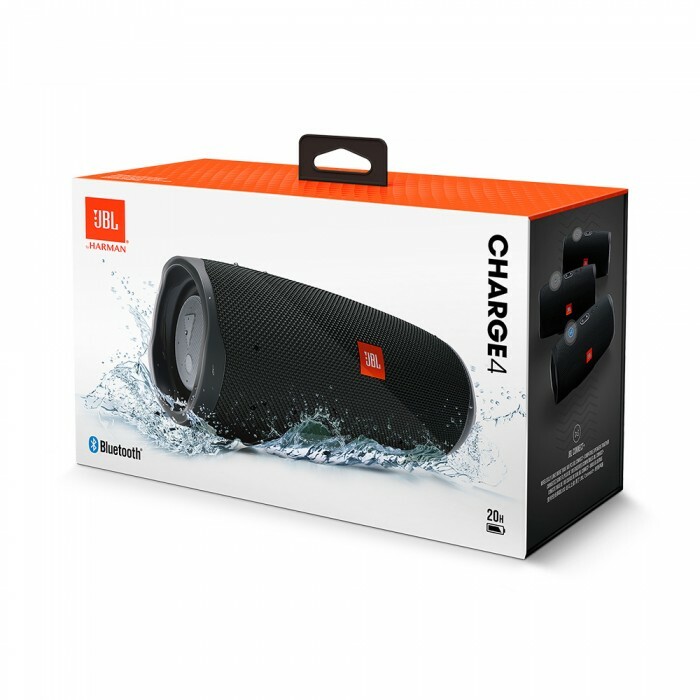 Introducing the JBL Charge 4 portable Bluetooth speaker with full-spectrum, powerful sound and a built-in power bank to charge your devices. 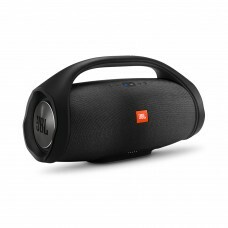 It features a proprietary developed driver and two JBL bass radiators that intensify sound with strong deep bass. 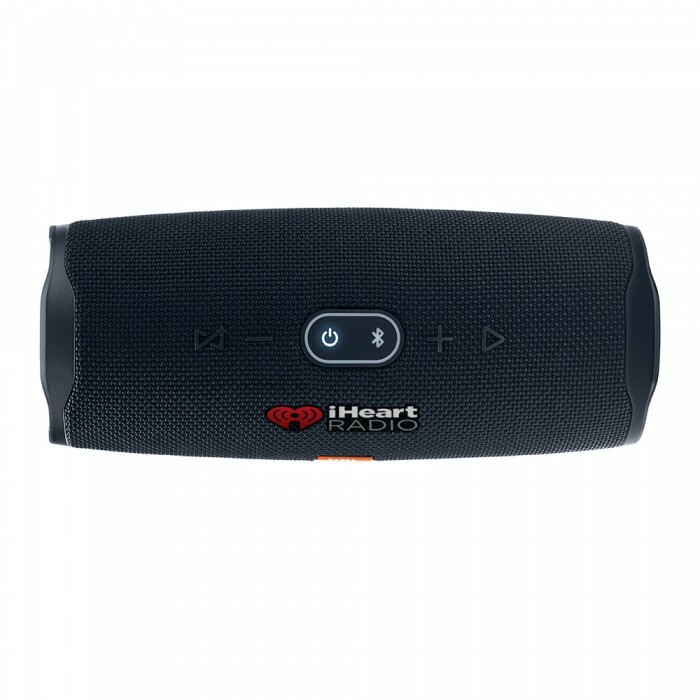 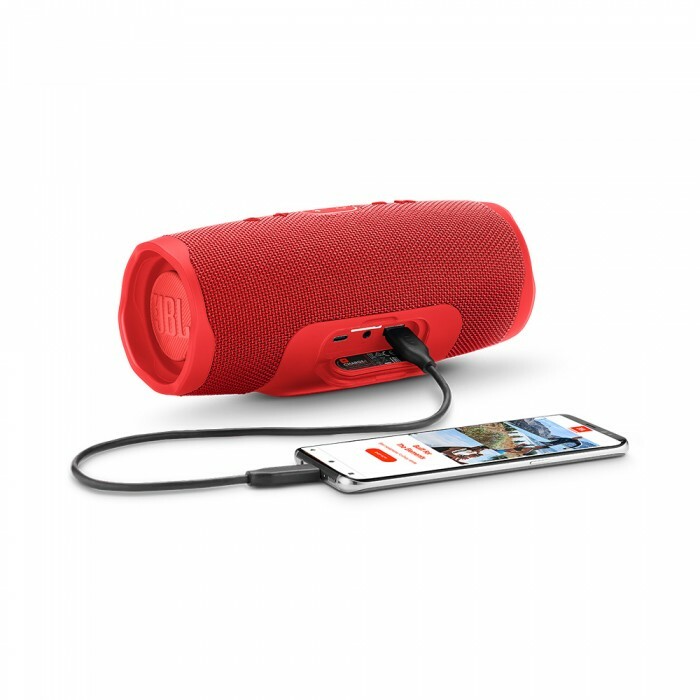 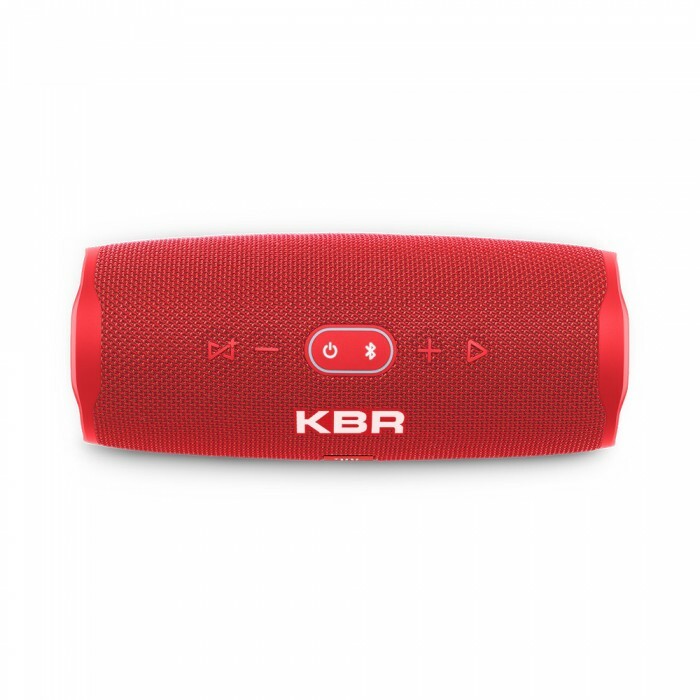 Wireless Bluetooth Streaming - Wirelessly connect up to 2 smartphones or tablets to the speaker and take turns enjoying powerful sound. 20 hours of playtime - Built-in rechargeable Li-ion 7800mAH battery supports up to 20 hours of playtime and charges your device via USB port. IPX7 waterproof - Take Charge 4 to the beach or the pool without worrying about spills or even submersion in water. 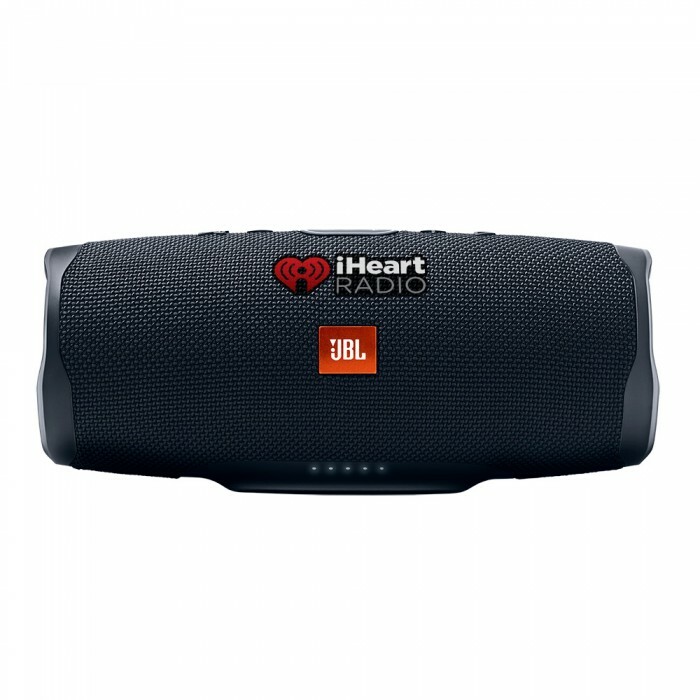 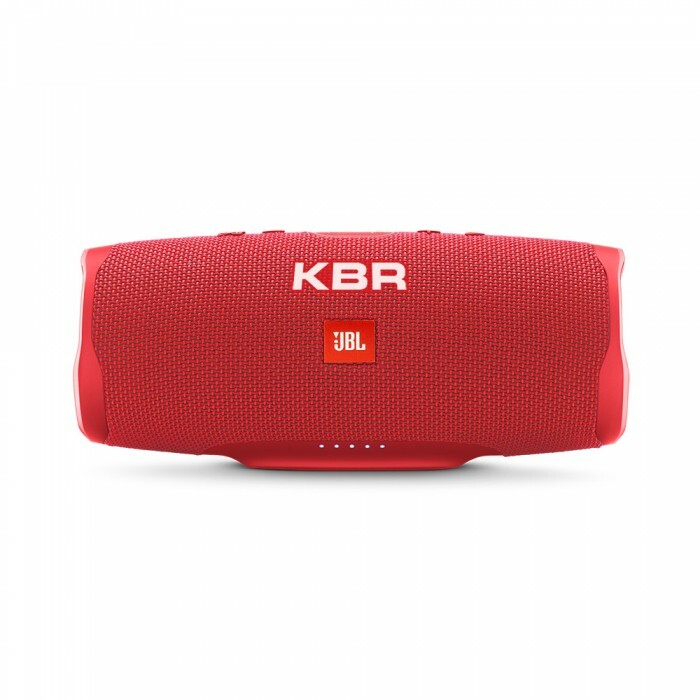 JBL Connect+ - Amplify your listening experience to epic levels and rock the party perfectly by wirelessly connecting more than 100 JBL Connect+ enabled speakers. 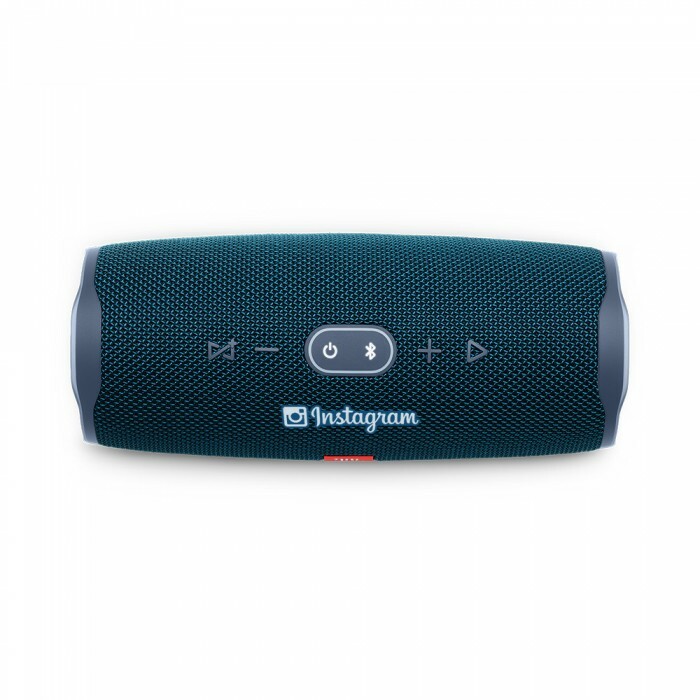 Durable fabric and rugged material - The durable fabric material and rugged rubber housing allows your speaker to outlast all of your adventures. 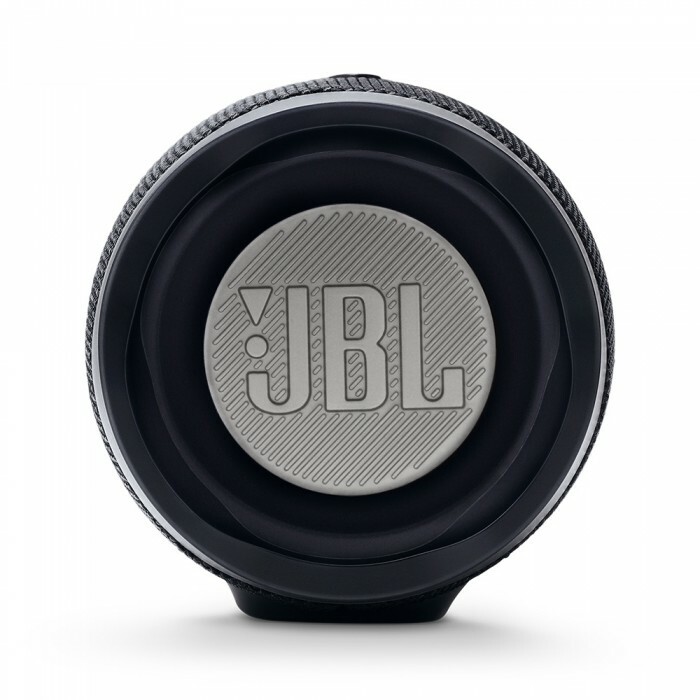 JBL Bass Radiator - Dual passive radiators deliver powerful, ear catching JBL sound that resonates loud and clear. 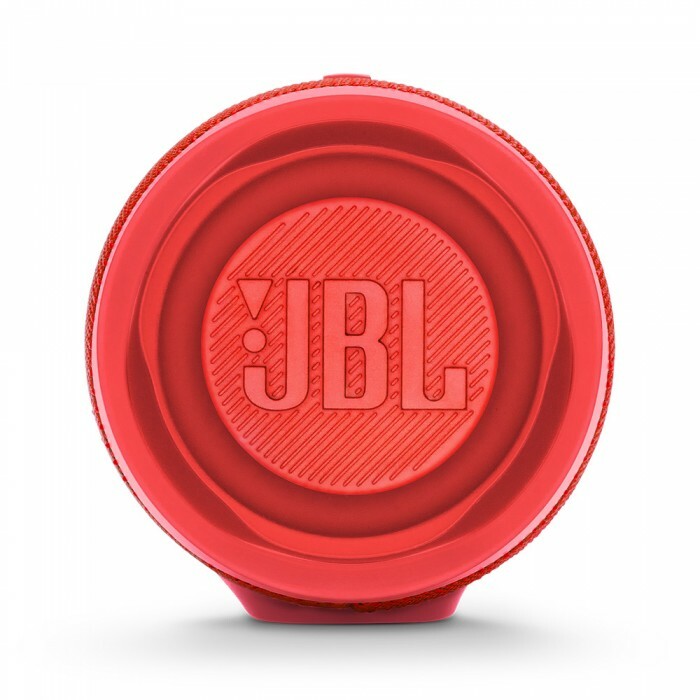 Size: 8.6L" x 3.7W" x 3.6H"
Imprint Size: 2W" x 5/8H"
Carton/Dimensions: 11L" x 10W" x 15H"